Hundreds of years before, the basic jewellery were made out of seashells and bone, trees and animal skin. In the ancient times, the Egyptian jewellery first came into existence. Egyptian culture inhabited technology, gemstones, and precious metals early in comparison to other places. They were inspired by the culture of royalty and aristocracy which led to thinking noble like having a deep appreciation for luxury. This made them create impactful jewellery and leading trends. Copper was the first metal that came into existence through which we as humans got so many jewellery items. However, the major focus on jewellery came when they discovered gold. 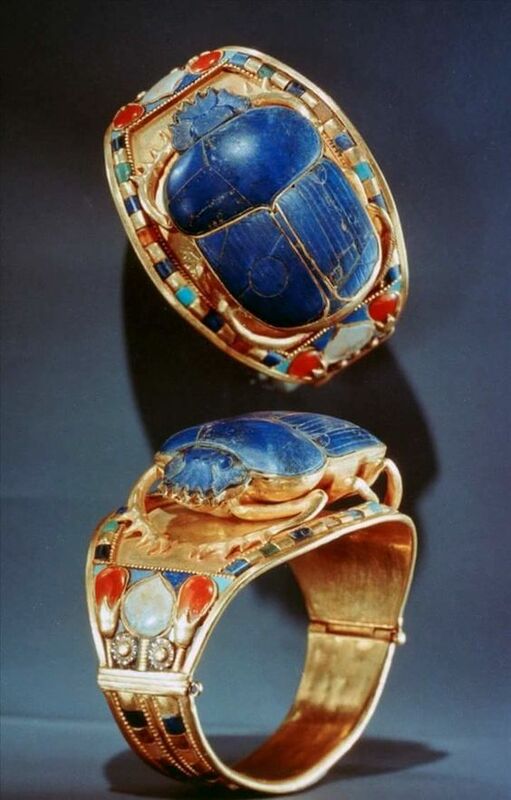 This allowed the Egyptian to rule as the first jewellery maker. The ancient Egyptians valued adornment and were worn by both men and women. 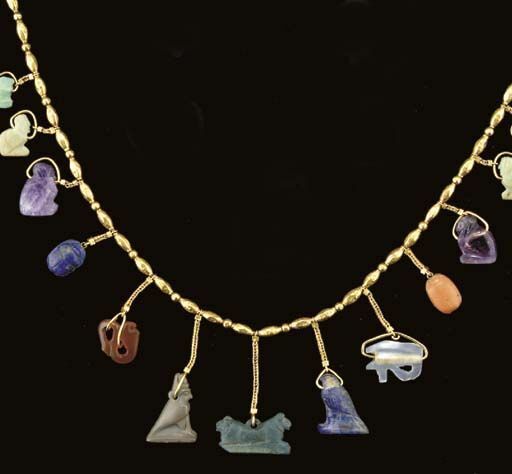 The plethora of material which was used in the making of this Egyptian jewellery was basically gold and silver. Egyptian has mostly attracted towards gold and the availability of silver was less in Egypt as compared to any other place. The colour variation was due to the mixing of elements such as alloys like copper, iron, silver into gold. It was then also an interesting concept to have charms in necklaces, bracelets and other jewellery items. It’s just they were made up of stones and precious or semi-precious jewellery. In this picture above the necklace is adorned with precious stones in different charms shapes. 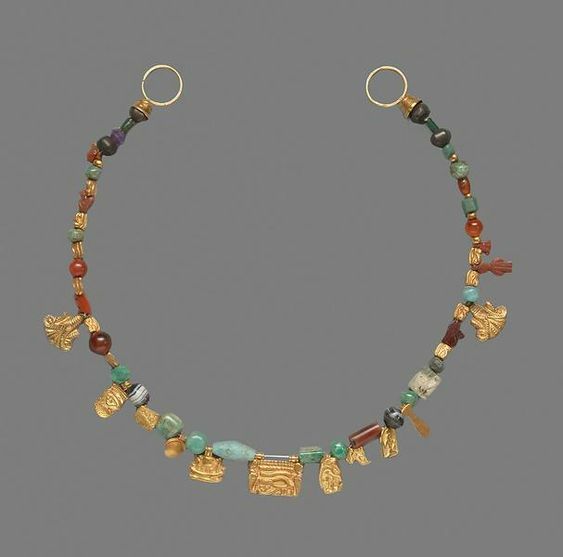 The more royal pieces of Egyptian jewellery were adorned with the precious jewellery items. The gemstones were semi-precious stones, precious stones are other various gems. The most prized stone were lapis lazuli, rock crystal, and pearls. Emeralds were also found in these jewellery pieces. These were made from ground quartz and then molded into expensive gemstones. They are also used as charm jewellery when molded or carved in different shapes.